Success! Benita from the Philippines raised $1,500 to fund thyroid surgery. Benita's treatment was fully funded on June 30, 2017. Benita had no complications after surgery and is currently recovering well. Benita’s discomforts in eating and in doing household chores are already gone. Now, Benita is even more active. She looks forward to a more happy life with her family, church community, and her neighborhood. Benita is a 55-year-old mother of four who stays home and cares for her grandchildren while her children are at work. She prepares meals for the whole family and does chores. She lives in the Philippines. After the birth of her fourth child, Benita experienced difficulty swallowing and a heavy feeling in her chest. She avoided seeking care because she knew the cost would be a burden on her family. Over time, her condition has gotten worse, and she now has a lump on her neck that is tender and painful. She has had this condition for six years. 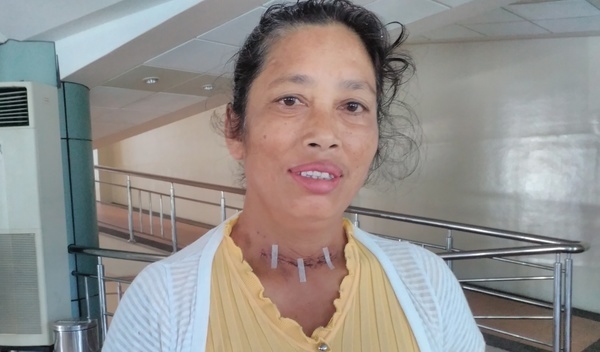 After a series of lab tests, Benita was diagnosed with a multinodular goiter, a thyroid condition in which the gland is swollen and produces excess hormones. She needs surgery to remove her thyroid gland and prevent her symptoms from getting worse. The cost of Benita’s surgery, scheduled for February 8, is $1,500. 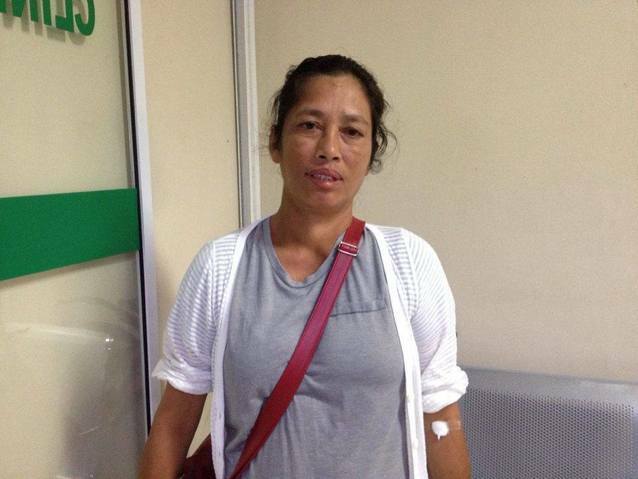 Her husband works as a farm laborer and cannot afford this procedure, so they are seeking help from Watsi. 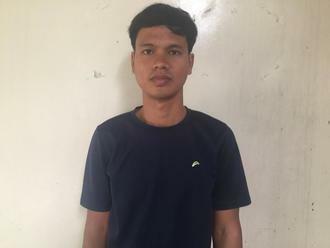 Benita's case was submitted by Krishiel Ferenal at International Care Ministries in Philippines. Benita was submitted by Krishiel Ferenal, National Health Officer at International Care Ministries, our medical partner in Philippines. Benita's profile was published to start raising funds. Benita received treatment at Silliman University Medical Center. Medical partners often provide care to patients accepted by Watsi before those patients are fully funded, operating under the guarantee that the cost of care will be paid for by donors. Benita's treatment was successful. Read the update. Benita's treatment was fully funded. Patients have enlarged thyroid glands and/or elevated thyroid hormone levels. Some have difficulty swallowing and/or breathing. They may be diagnosed with a number of conditions, including hyperthyroidism, Grave's disease, a multinodular goiter, thyroid carcinoma, thyroiditis, and others. At first, the patient will notice a lump or swelling at the front of his or her neck. As the lump grows, it can cause discomfort and psychological distress. Very large goiters may compress adjacent structures in the neck, such as the esophagus (causing difficulty swallowing) and the airways (causing difficulty breathing). This treatment is necessary and has no historical, cultural, or regional significance. Typically, a major portion of the thyroid gland is removed. The surgery is done under general anesthesia and can take several hours. Once the medications have taken effect, the anesthetist will insert a tube into the patient's throat to manage his or her airway and breathing. An incision is made at the base of the neck, and all or part of the thyroid gland is removed. The incision is then sutured closed, the wound is dressed, and the patient is taken to the recovery area until stable. After the removal of the gland, the patient's symptoms will disappear. The patient will have a thin scar at the base of the neck. If the whole thyroid gland was removed, the patient will need to stay on replacement hormones for the rest of his or her life. Occasionally, the nerve that innervates the vocal cords can be damaged, causing a permanently hoarse or weak voice. If the tiny parathyroid glands are accidentally removed, the patient may need calcium supplements and monitoring for the rest of his or her life. This surgery is available in most public hospitals throughout the Philippines. Some patients travel to our medical partner from remote communities. They are members of our medical partner's sponsored communities. Small goiters or thyroid lumps that are not malignant can be left untreated, unless they cause psychological distress to the patient.